This is the essentials on OverPlay, and it’s support for Netflix in 2019, to get in working. Yes, it’s smart DNS service does support various country regions of Netflix. While some users have been reporting problems and issues, that Netflix is not working in 2019, resulting in various proxy errors. This can be caused by various problems and it’s not always the fault of OverPlay. Fact is, that Netflix is one of the most difficult channels to circumvent and requires continuous work from their part to keep it working. Which is reason why using VPN likely causes issues, thus you need — OverPlay’s smart DNS. If it’s the US region of Netflix you want to watch, then you can always grab a free trial of Smart DNS Proxy, to see if you can get it to work from there. Also they support many other devices like SmartTVs, Apple TV, iOS & Android. United States (US), Austria, Australia, Belgium, Brazil, Canada, Denmark, Finland, France, Germany, Ireland, Italy, Japan, Luxembourg, Netherlands, New Zealand, Norway, Portugal, Spain, Sweden and United Kingdom (UK). If you can afford it, I do recommend using both the VPN & Smart DNS simultaneously for a secure, and most stable “problem free” experience. In my experience proxy errors and other issues are more abundant on special devices like entertainment system, smart TVs, gaming consoles, media players, etc. so remember to try using your desktop or laptop to see if the problem is there. But I assure you, that OverPlay.net does work with Netflix weather permitting. And that’s pretty much all! Use this link to get OverPlay for a dollar! 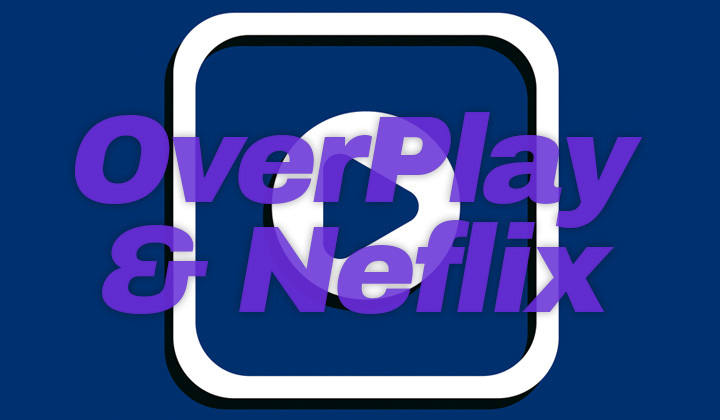 Is Netflix working or not for you with OverPlay DNS & VPN? Comments and complaints, are welcome below! There may be some friendly affiliate links that are located within these posts, reviews, etc. and this won’t make your wallet any heavier. A way to support my work here on the blog. Biggest appreciation to my readers and thanks, David.